The Boston Celtics are advancing in the playoffs as the Milwaukee Bucks are headed home after a fantastic Celtics performance in game 7 last night in front of a frenzied TD Garden crowd. One player probably happiest to be leaving Boston is Bucks guard Eric Bledsoe who struggled for most of the series and his war of words with Celtics guard Terry Rozier added some off-court drama to the hard-fought series. 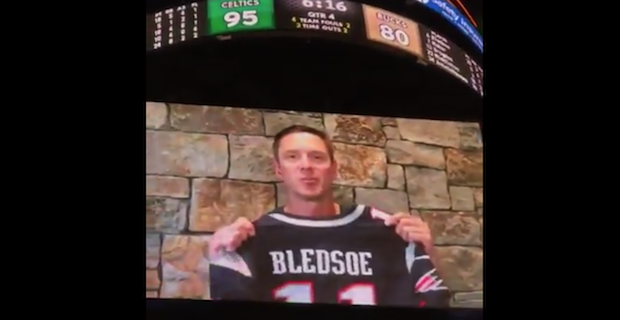 This began when Rozier called him “Drew” Bledsoe after Game 1 perhaps by accident, but maybe not, mixing him up with the former Patriots beloved QB. This prompted Bledsoe to say he had no idea who Rozier was after the Celtics Game 2 victory, even though Rozier had outplayed him in just about every facet of the game at that point.